TP-Link is aware of vulnerabilities in the WPA2 security protocol that affect some TP-Link products. An attacker within wireless range of a Wi-Fi network can exploit these vulnerabilities using key reinstallation attacks (KRACKs). According to the research paper on KRACKs by Mathy Vanhoef that brought this vulnerability to the attention of vendors, the attack targets the WPA2 handshake and does not exploit access points, but instead targets clients. All vulnerabilities can be fixed through software updates since the issues are related to implementation flaws. TP-Link has been working to solve this problem and will continue to post software updates at: www.tp-link.com/support.html. Products with TP-Link Cloud enabled will receive update notifications in the web management interface, Tether App or Deco App automatically. 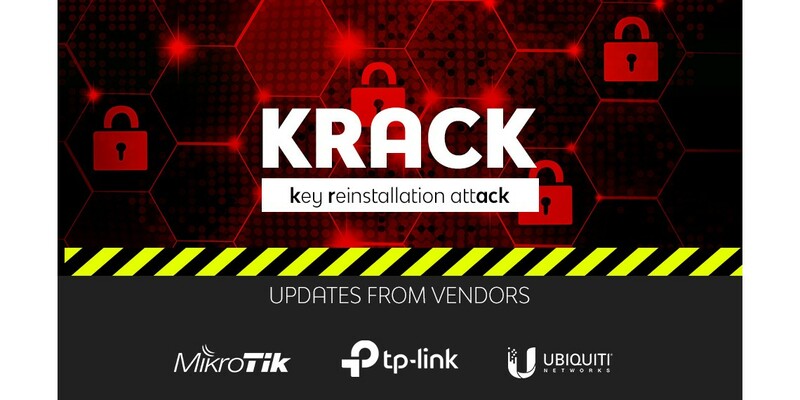 More information about KRACK can be found through the link: https://www.krackattacks.com. Physical Proximity: An attack can only happen when an attacker is in physical proximity to and within wireless range of your network. Time Window: An attack can only happen when a client device is connecting or reconnecting to a Wi-Fi network. Routers with WDS function enabled (disabled by default) may be affected. Refer to the FAQ to learn how to check if WDS is enabled on your router. For wireless routers: Make sure your routers are in Router Mode or AP Mode, and patch the operating system of your smartphones, tablets and computers. For wireless adapters: Patch the operating system of your computers. TP-Link has been working on affected models and will release firmware over the next few weeks on our official website. WPA2 vulnerabilities will remain if you do not take all recommended actions. TP-Link will not bear any responsibility for consequences that could have been avoided by following the recommendations in this statement. On October 16. CERT/CC/ICASI released a public announcement about discovered vulnerabilities in WPA2 handshake protocols that affect most WiFi users and all vendors world wide. RouterOS v6.39.3, v6.40.4, v6.41rc are not affected! It is important to note that the vulnerability is discovered in the protocol itself, so even a correct implementation is affected. These organizations did contact us earlier, so we have already released fixed versions that address the outlined issues. Not all of the discovered vulnerabilities directly impact RouterOS users, or even apply to RouterOS, but we did follow all recommendations and improved the key exchange process according to the guidelines we received from the organizations who discovered the issue. We released fixed versions last week, so if you upgrade your devices routinely, no further action is required. The following applies to RouterOS software prior to updates related to the issue. nv2 is not affected in any way. This applies to both - nv2 AP and client. There is no nonce reset in key exchange possible and key re-installation is not possible, because nv2 key exchange does not directly follow 802.11 key exchange specification. RouterOS is not affected in any way, RouterOS generates cryptographically strong random initial nonce on boot and never reuses the same nonce during uptime. The device operating as client in key exchange is affected by this issue. This means that RouterOS in station modes and APs that establish WDS links with other APs are affected. RouterOS APs (both - standalone and CAPsMAN controlled), that do not establish WDS links with other APs, are not affected. Key reinstallation by resending key exchange frame allows attacker to reset encrypted frame packet counter. This allows attacker to replay frames that where previously sent by AP to client. Please note that RouterOS DOES NOT reset key to some known value that would allow attacker to inject/decrypt any frames to/from client. - 802.11/nstreme client (all station modes) or AP with WDS: upgrade to fixed version ASAP. At Ubiquiti Networks we take security very seriously, and realize that it is of utmost importance to our customers. Today (10/18/17), a vulnerability was published about WPA2 encrypted networks, the currently known secure form of encryption available to protect WiFi devices. We have been working with Jouni Malinen, the original author of hostap, as well as other industry leaders in security, to roll out a stable firmware in time for the public disclosure. For more information on the KRACK vulnerability, click here. Please note that this vulnerability affects WiFi client devices more specifically than access point devices. We strongly recommend that all users check with relevant mobile device, laptop, and IoT manufacturers for firmware updates resolving the KRACK issue in their devices. To ensure our customers are protected, we have released firmware for UniFi Access Points that resolves this vulnerability for all users using the wireless uplink feature. This firmware is immediately available, and can be downloaded in our UniFi Updates Blog. It has been pushed to all recent 5.6.x controller builds, as well as on our community blog. We will be rolling out to other controllers in the near future. See our table below for a list of UniFi devices that need to have a firmware update because of the WPA-PSK KRACK vulnerabilities, and the ones that don't. The patched firmware is version 3.9.3.7537 released on October 16th, 2017. Any version prior to that is potentially vulnerable. AmpliFi line products are not affected since firmware v2.4.3. Firmware v2.4.2 is partially affected and all versions prior to that are affected. Released: find below the fully patched firmware versions for AC (v8.4.2) and M (v6.1.2) airMAX devices. Note: our proprietary airMAX protocol makes simple attacks more difficult. airOS v8.4.2 Has Been Released! airOS v6.1.2 Has Been Released! Wired cameras are not affected. Wireless cameras (UVC-Micro / G3-Micro) are not vulnerable to MitM attacks due to complete encryption and mutual certificate authentication of NVR traffic implemented in version 3.8.0+. Additionally, as of firmware release v3.8.61 (included with UniFi Video Controller v3.8.2), all wireless cameras have also been patched against the KRACK exploit for added security. Upgrading to UniFi Video v3.8.2 is recommended so that wireless cameras are upgraded and receive the patch.